national forest campground – Homeless and Loving It! 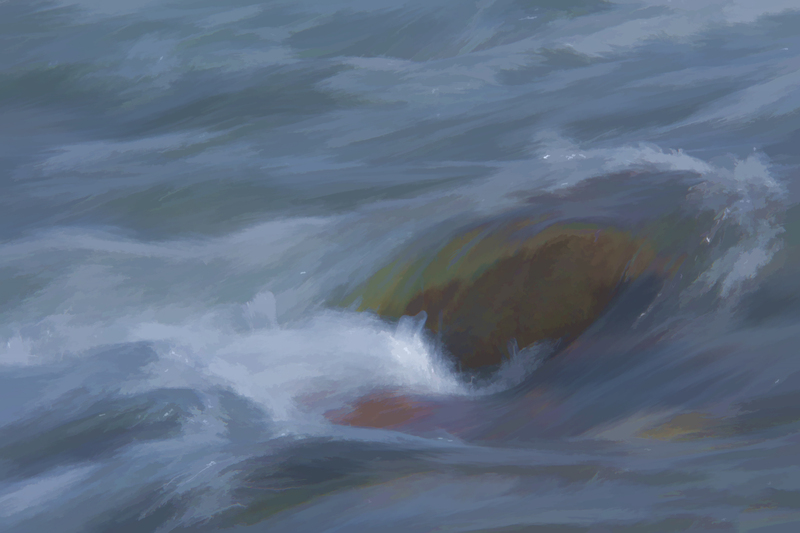 It’s been a long time since we’ve posted on the blog. Guess we needed a vacation from having so much fun! Before we get too much further behind here are our travel plans when we leave Laguna Atascosa NWR and head for our summer volunteer position at Flaming Gorge National Recreation Area. 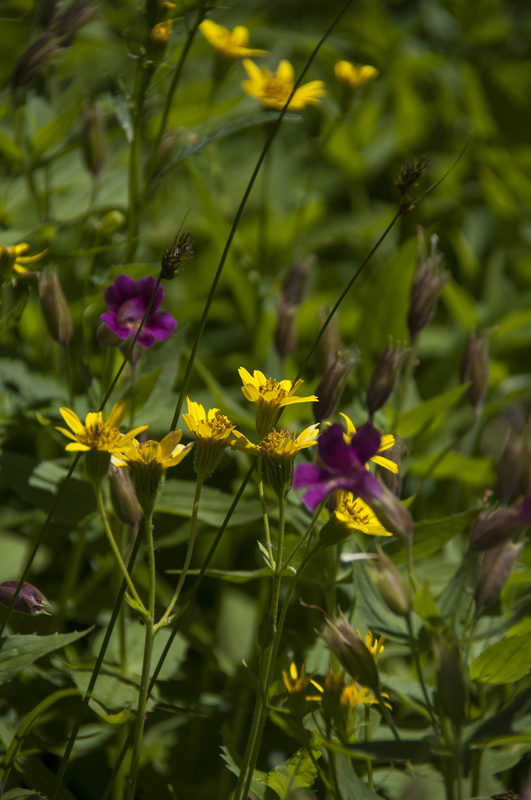 When we head out we will go north to the piney woods of northeastern Texas to see Big Thicket National Preserve, Cane River Creole National Historic Park in Louisiana and the area should be in bloom with azaleas and dogwoods. Now add local BBQ joints and fried catfish to the mix. We’ll be staying at Alley Creek Camp, a USACE campground on a lake with water and electric hookups. We bought fishing licenses but haven’t been able to use them. Maybe we will here. Then we drop back south a bit where we’ll be 75 miles NW of Houston. Lots of small towns, Spring blossoms, the Texas Painted Church tour and hopefully getting to Galveston and sightseeing in Houston too. We’ll stay at Cagle Recreation Area, a USFS campground with full hookups. On to the Hill Country where there is so much to do I know we won’t scatch the surface. We’ll be staying at Cranes Mill CG on Canyon Lake, a USACE campground with electric and water hookups. We plan to visit Fredricksburg, New Braunfels and San Antonio. There will be many drives through the famous blue bonnets and we’ll meet up with friends volunteering at the LBJ NHP. On to west Texas via Amistead NRA (a reservoir on the Rio Grande), Guadalupe Mountains NP and El Paso. From there we turn north to New Mexico and hope to stay at Elephant Butte Lake SP. Using this as a base we will visit White Sands NP, Gila Cliff Dwellings, Salinas Pueblo Missions and Pecos NHP. If there is time we will stop to see fellow volunteers at Sevilleta NWR. Hoping to make up for our missed visit last Fall, we will drive north to see friends in Los Alamos, NM. Other points of interest will be Santa Fe and possibly 5 more NPS sites. We haven’t camped that much in Colorado so we look forward to staying at Cheyenne Mountain SP near Colorado Springs. Our last leg will turn west toward Dinosaur NM and Fossil Butte NM. 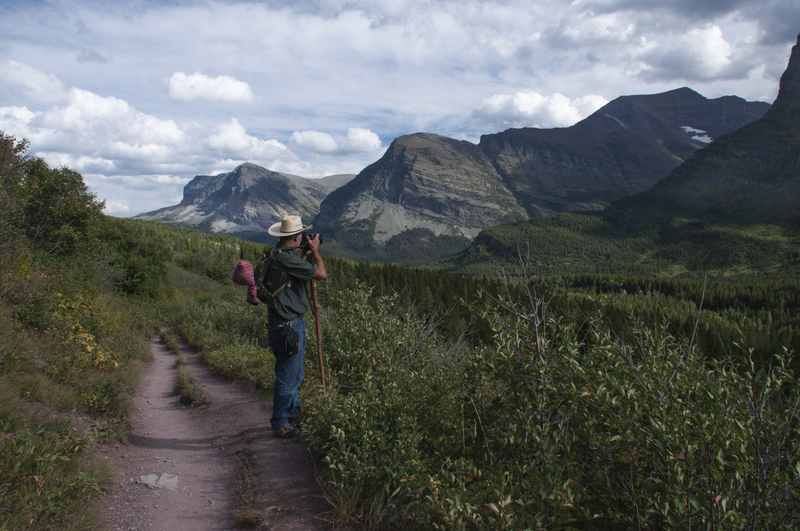 If we see all 17 planned NPS sites we will have seen 42% of all the parks. We’ll put down roots (or as close as we come to it these days) for 3.5 months in NE Utah. Home is where you park it. Now that we are spending about 50% of our time volunteering we didn’t know if we’d have enough great places to recommend for another Top Ten post. Fortunately that was no problem. So here are our choices as we moved from Montana, Idaho, Utah, Colorado, New Mexico, Arizona, Nevada, California, Oregon and Washington. Again, this list in no particular rating order and is for folks like ourselves who travel via large RV. If dry camping was involved it is noted. Otherwise there was at least water and electric hookups. Some of the other campgrounds we used would be suitable for smaller units but proved challenging for us. We started with a list of 16 campgrounds we really enjoyed. After listing our 10 favorites we mention the runners up. 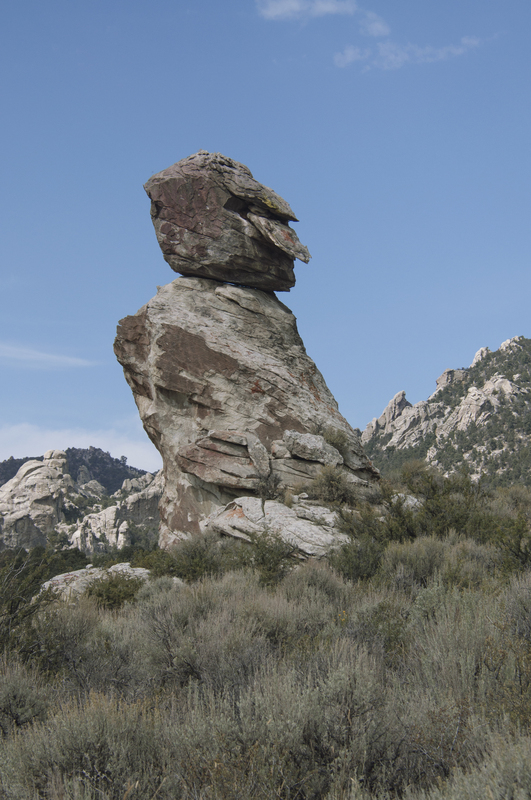 When we took our retirement trip in 2010 to Utah we were amazed at how many varieties and shapes of rock we saw. 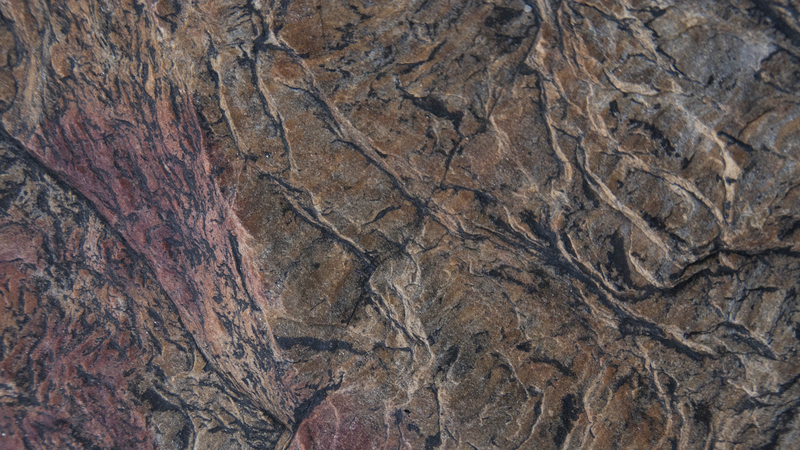 The phrase “what else can they do with rock?” became a common question. We are continuing to find ourselves saying this as we travel through other parts of the west. Our last stop in Idaho for this year is just one example. 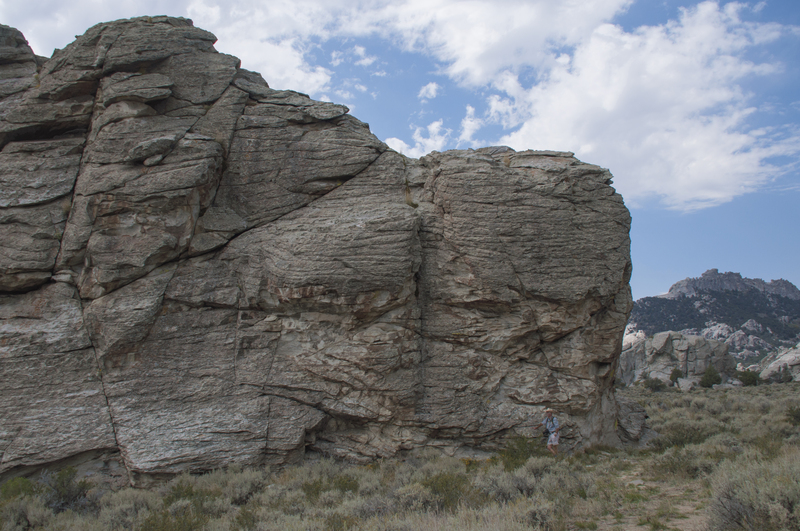 We left Boise and headed south and east to the small town of Almo, Idaho and Castle Rock State Park which is adjacent to City of Rocks National Reserve. We’ve been to a national preserve but didn’t know the definition of a reserve. 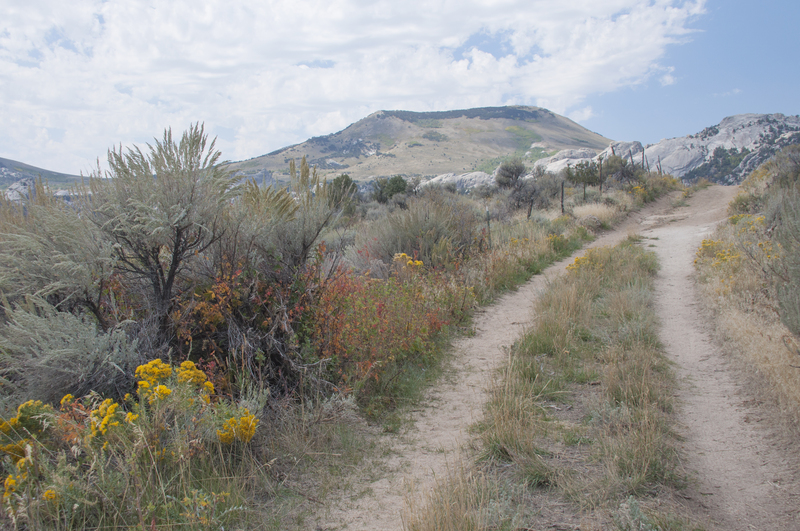 It was explained to us that the National Park Service oversees the area administratively and participates in decisions but the Idaho State Parks supply manpower and management. When we arrived at Castle Rock SP we headed for our reserved site but ran into a new glitch. The site was still occupied. Steve checked and there was no car and no occupants. So we pulled off the road and went in search of the Camp Host. She offered us another site in the equestrian portion of the campground but if we really wanted the reserved site the park would arrange to tow the other trailer away. The alternative site was lovely so we took that one. We never did find out why the people hadn’t vacated on time. Our Camp Host, Dottie, was a very interesting woman. 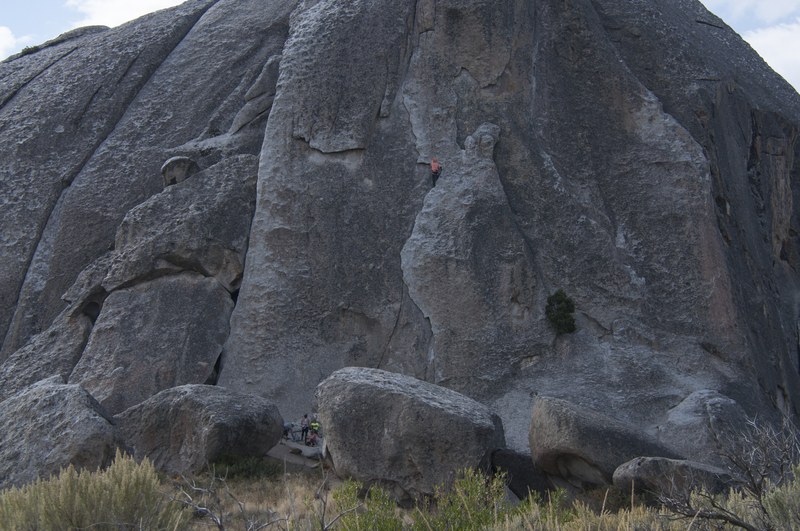 She is a solo RVer and rock climber who was one of the first woman blackjack dealers in Las Vegas. Each winter she goes to Mexico where she and two other woman (a retired professor from Columbia University and a native New Zealander) have built an animal rescue and spay facility called Fiona Animal Rescue of Hidalgo to deal with the severe overpopulation and mistreatment of domestic animals in the area. To read more about this worthy effort go to http://www.potreropups.org. City of Rocks National Reserve is one of the newer National Park sites offering stunning granite formations, overlapping biological regions for 750 plants and animals, world class rock climbing, 22 miles of hiking trails, photography sites and one of the best preserved locations on the California Trail. 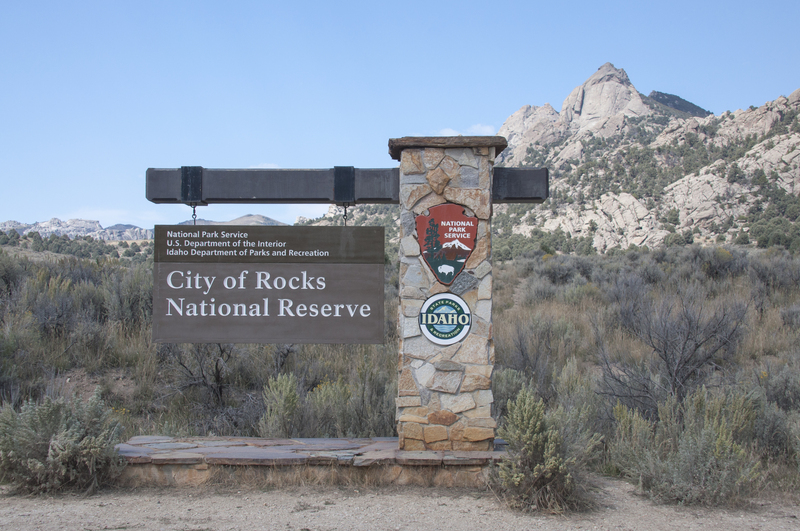 The park offers training in basic rock climbing with their Rock Climbing Ranger. 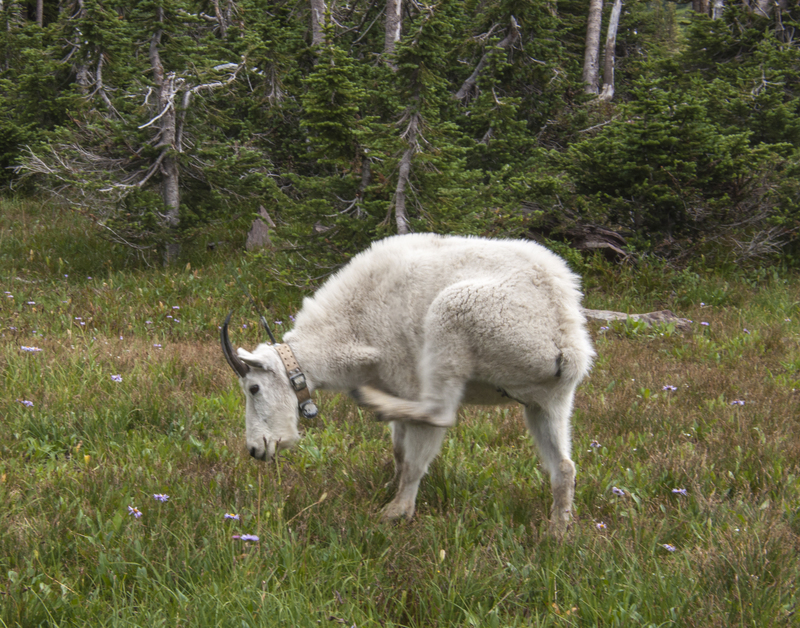 Nearby is the Sawtooth National Forest with more beautiful scenery, lakes and campgrounds. 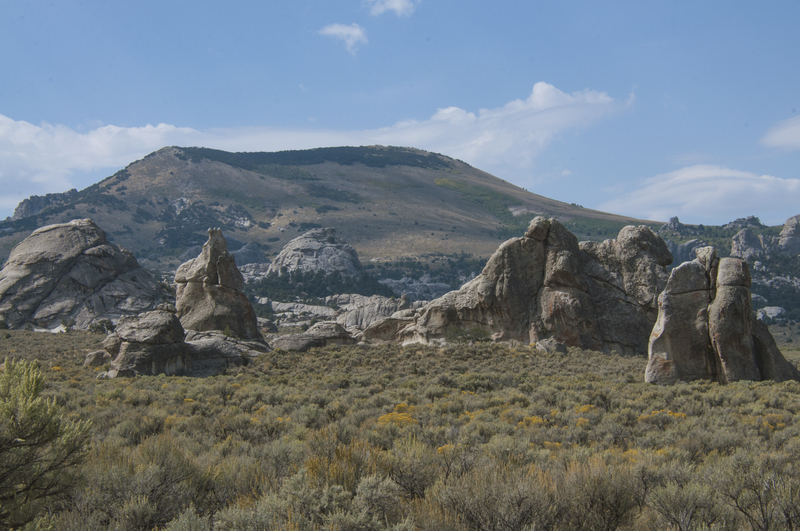 We spent the first two days driving and walking among the spires and formations. Dogs are allowed on the trails so Opal enjoyed seeking out trails of pioneer dogs. Latter in the week we had an opportunity to go on a two hour tour with the park archeologist, Kristin. The tour is listed in the park brochure but must be scheduled ahead. 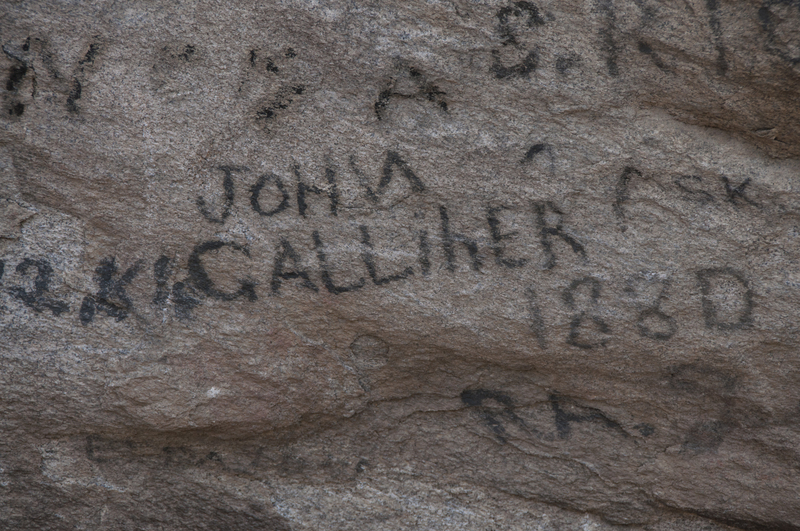 She is an excellent guide and provided many stories about the history of the California Trail and people who had left their signatures on Camp Rock and Register Rock. The park is working on a booklet about these people. Hopefully it will be available next year. 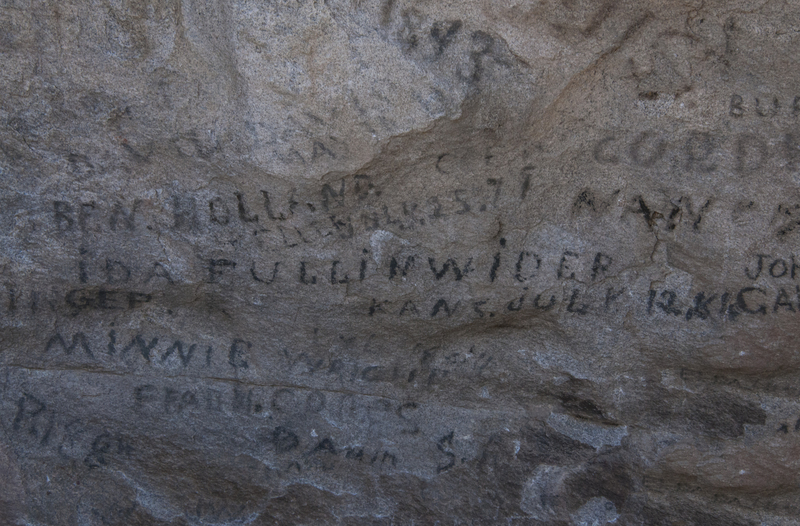 Most of the signatures were written in axle grease but a few were carved into the rock. We learned that axle grease had come in many colors; red, green and even yellow so that at one time these rocks were very colorful. Now time and weather has made them uniform and in some cases difficult to read. 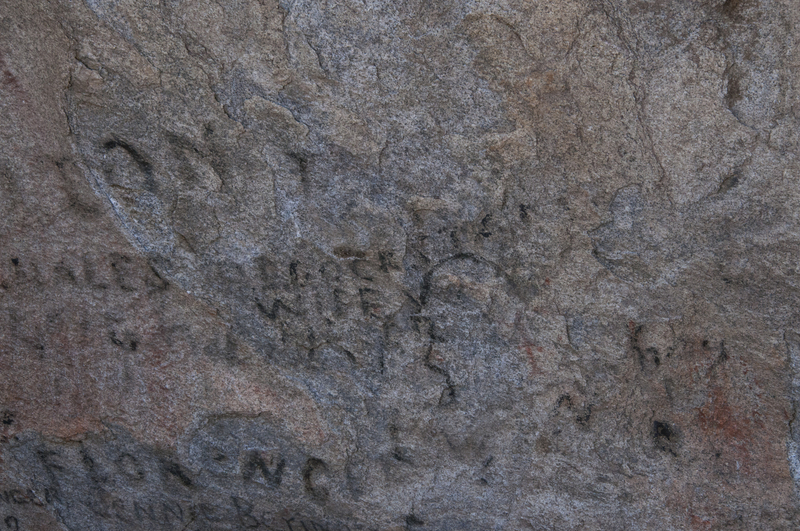 Some 200,000 settlers passed through City of Rocks along the California Trail making this the largest emigrant movement in the world. 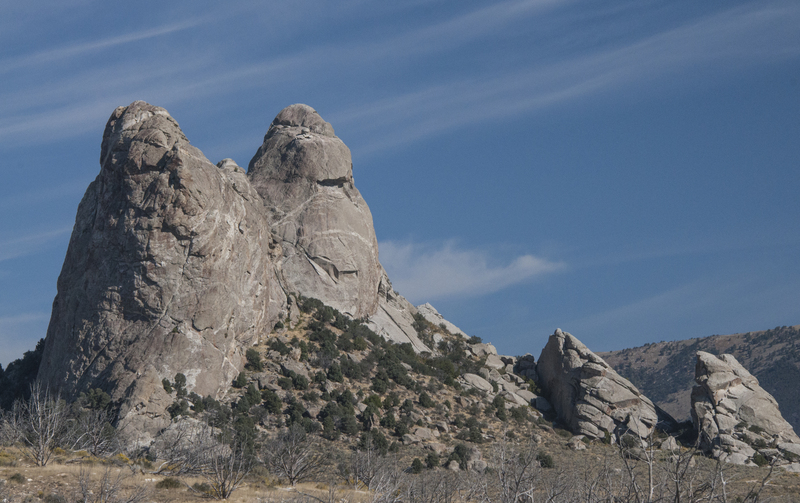 One of the best known formations is The Twin Sisters because it could be easily spotted by the pioneers at a distance. 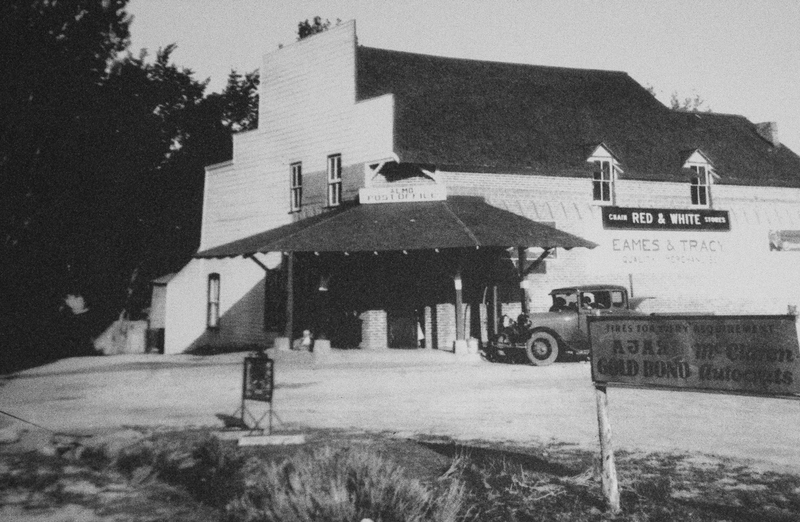 Today the town of Almo remains a very small ranching community where the general store still serves as the post office just as it has since the 1890s. If you come here, plan on bringing all your groceries with you as the nearest large grocery is an hour plus away. For non-campers there is a resort and motel and a few local restaurants. 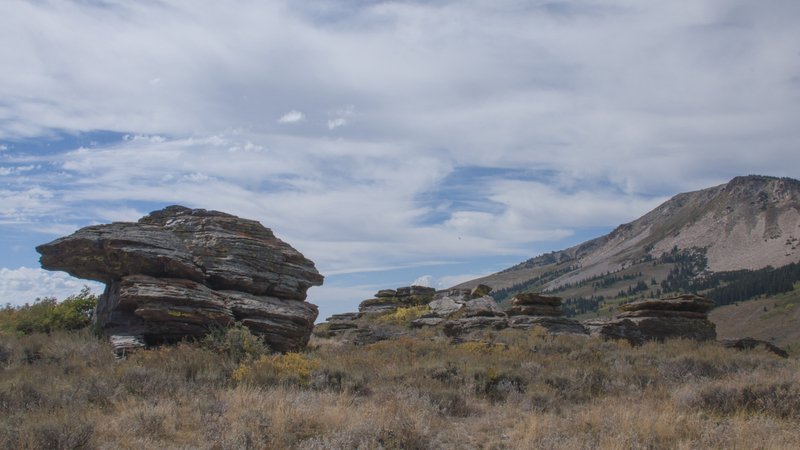 Our drive into the Sawtooth National Forest turned up a few more interesting rock formations and great Fall scenery. We found two NFS campgrounds with good accessibility and suitable for our trailer so we added them to our GPS database. 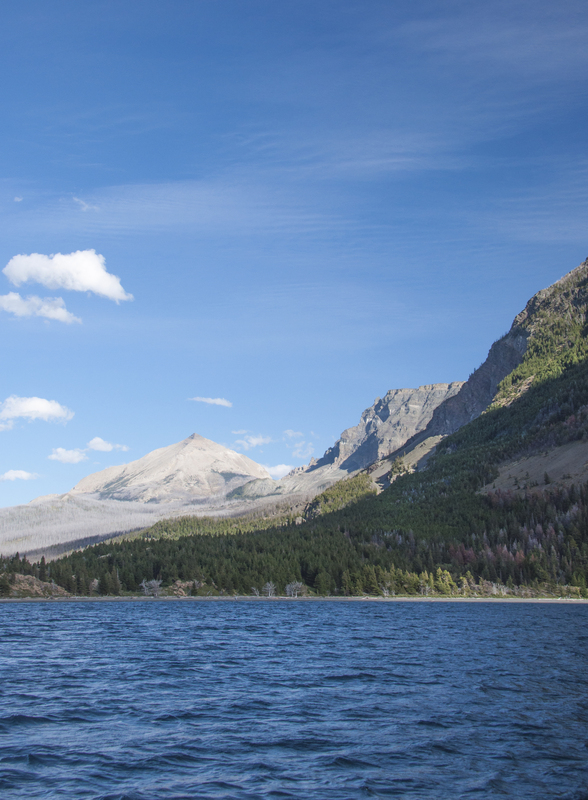 Even though they are dry camp areas we would enjoy a few days of fishing and hiking here. 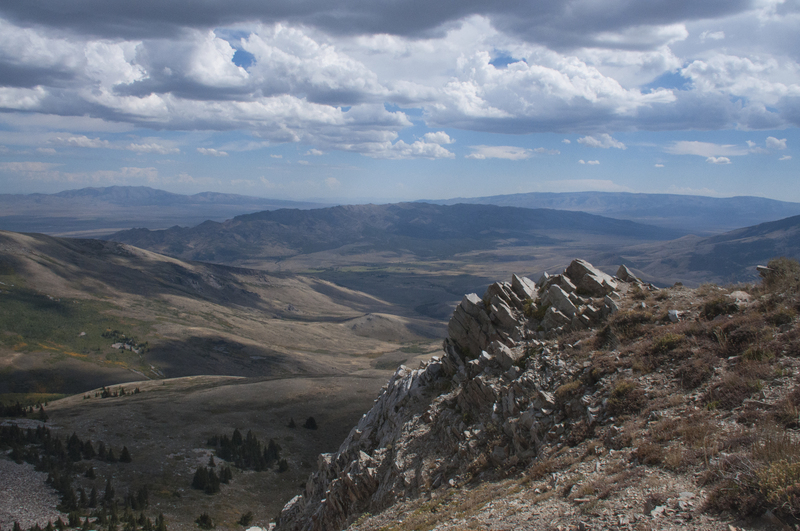 There is a wonderful scenic overlook at the top of Cache Peak. 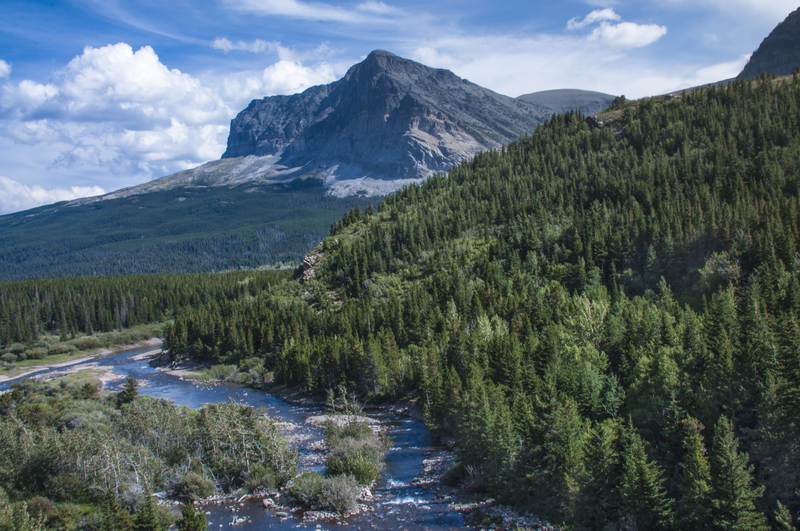 The Raft River below and the peak were named by Peter Skeen Ogden, a fur trader for the Hudson’s Bay Company in 1826. The river was so named because beavers had it dammed and it could only be crossed by raft. 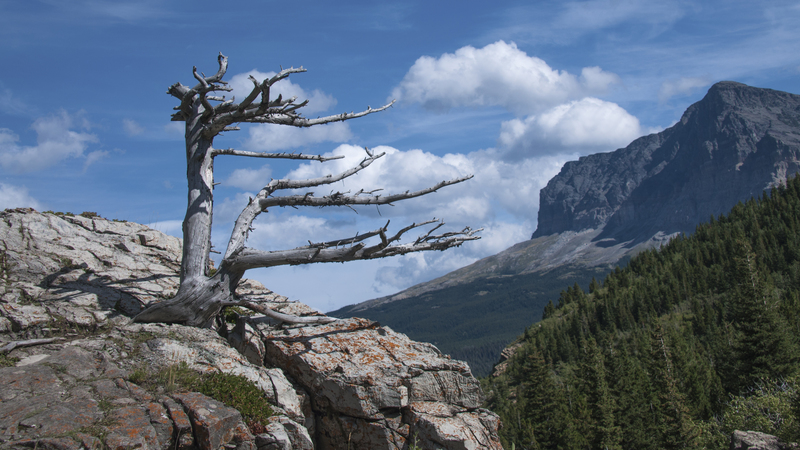 Cache Peak got it’s name because it served as a landmark for trappers as to where they had cached their pelts. There is one overlook where you can see the location of a WWII aircraft training flight wreck. If you look closely you can still see a tire lying there. 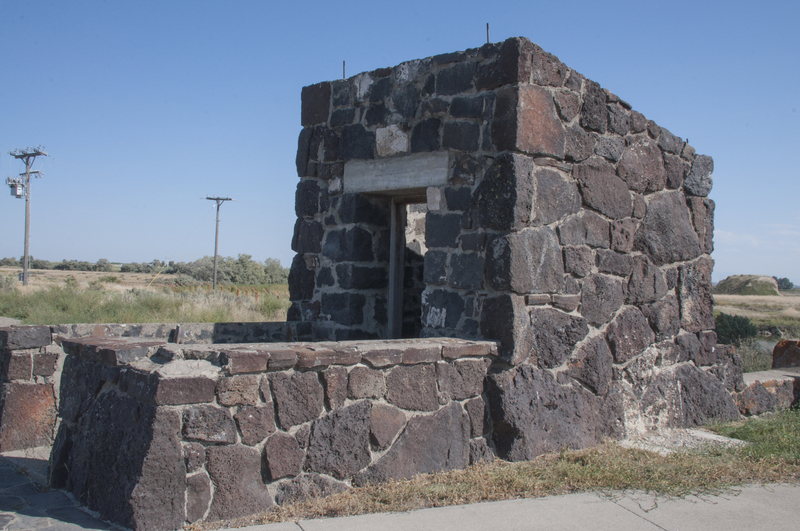 Two other National Park sites were within an hour’s drive; Hagerman Fossil Beds National Monument and Minidoka National Historic Site. 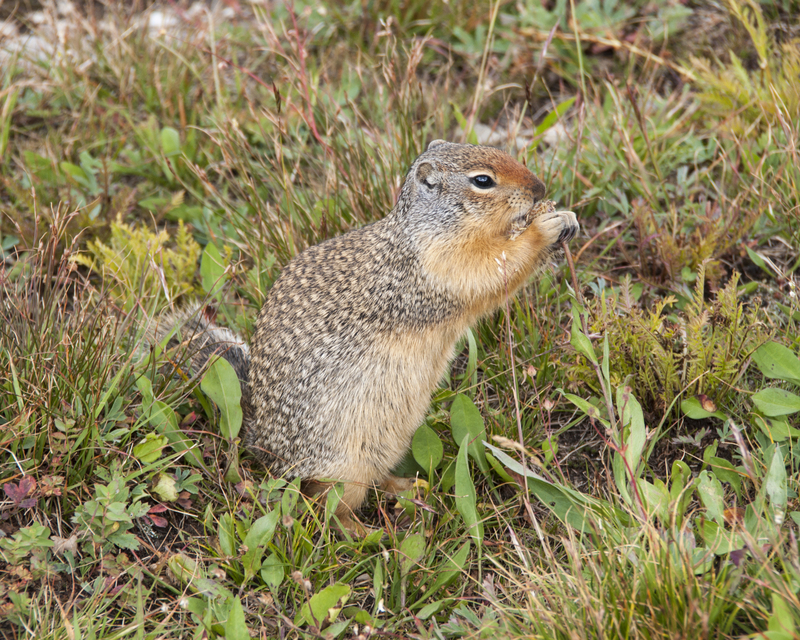 When we put them into the GPS we didn’t realize they shared the same Visitor Center. so when we looked at the directions from one location to the other the GPS said “Drive six feet”. Who says machines don’t have a sense of humor. 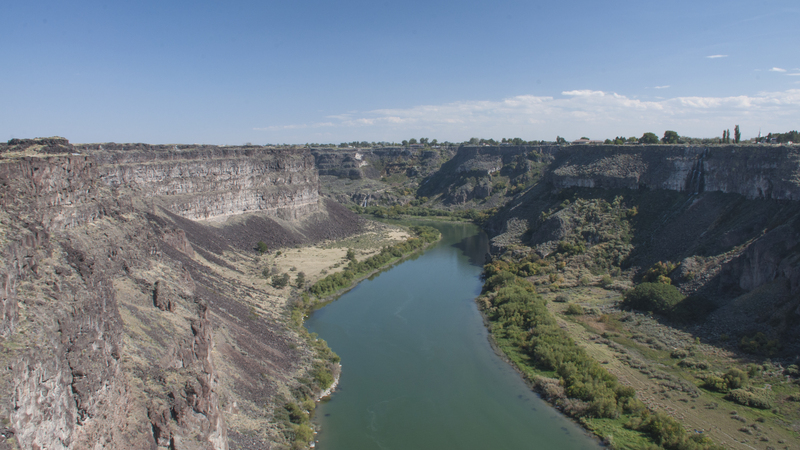 The Hagerman Fossil Beds are an extensive area of fossils along the Snake River Plain near Twin Falls, Idaho. The most famous are those of a herd of the earliest known horses called the Hagerman horse (Equus Simpicidens). They are more closely related to the Grevy’s zebra of Kenya and Ethiopia than the modern horse. 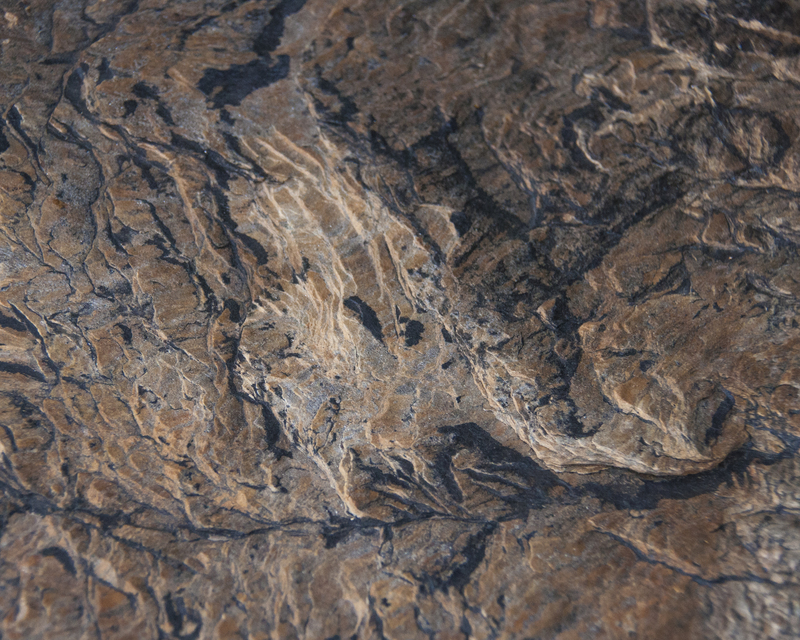 Other fossils found here include mastodon and saber-toothed tigers. 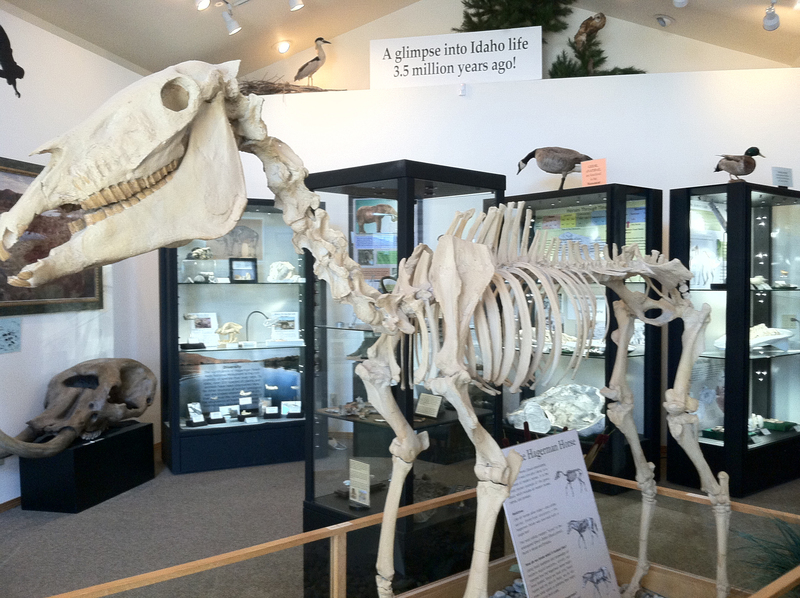 The small visitor center has good displays however the actual fossil sites are closed to the public. 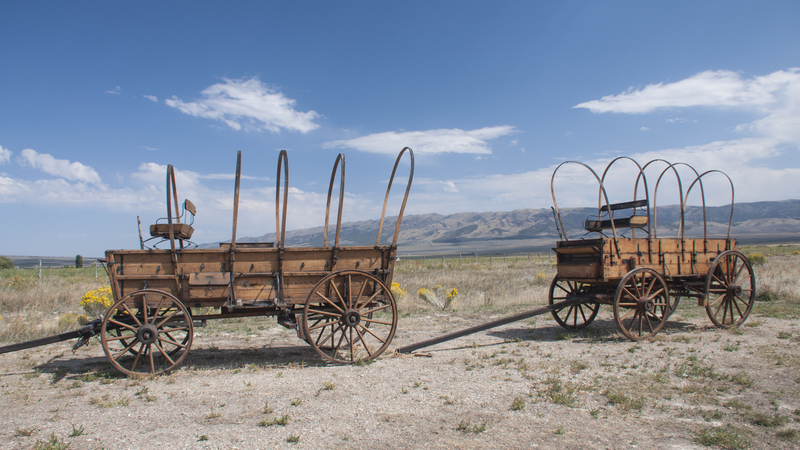 You can also see original wagon ruts of the California Trail passing close to the fossil beds. 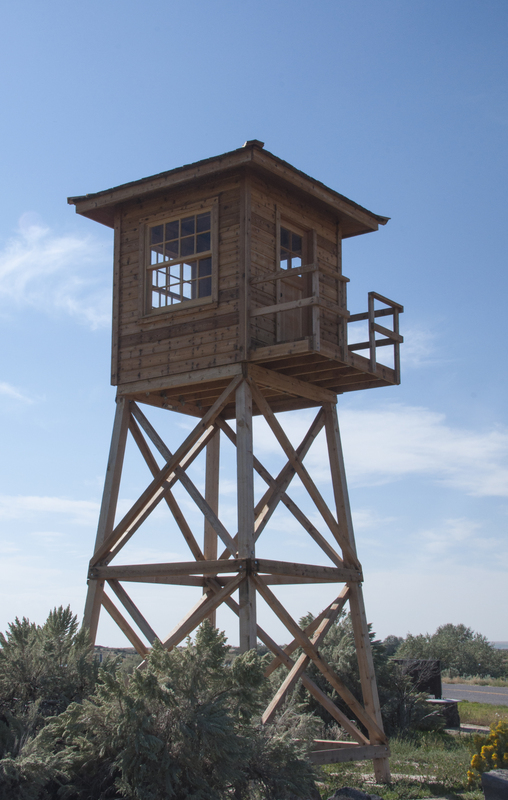 The Minidoka NHS was established in 2001 and tells the story about internment of Japanese Americans during WWII. I found the story and site to be moving, disturbing and educational. To realize that an entire segment of our population could be rounded up, deprived of their Civil Rights and freedom and imprisoned is shocking. It just shows what fear can do. Racial prejustice was already known to the immigrant Japanese (Issei) because as resident aliens they were prevented from owning land or obtaining citizenship. Their American born children (Nisei) were citizens. Following the attack on Pearl Harbor hostility increased and all people of Japanese ancestry were treated as spies and saboteurs. The impetus for internment was Executive Order 9066 in February 1942 which gave military commanders the power to exclude any persons from designated areas to secure national defense objectives. While the order could have been applied to anyone it was primarily used to remove 120,000 people of Japanese ancestry from the Pacific coast. Within five months ten relocation centers were built with 7,100 people being relocated to Minidoka. Here they faced barbed wire fences, armed guards and restricted movement. 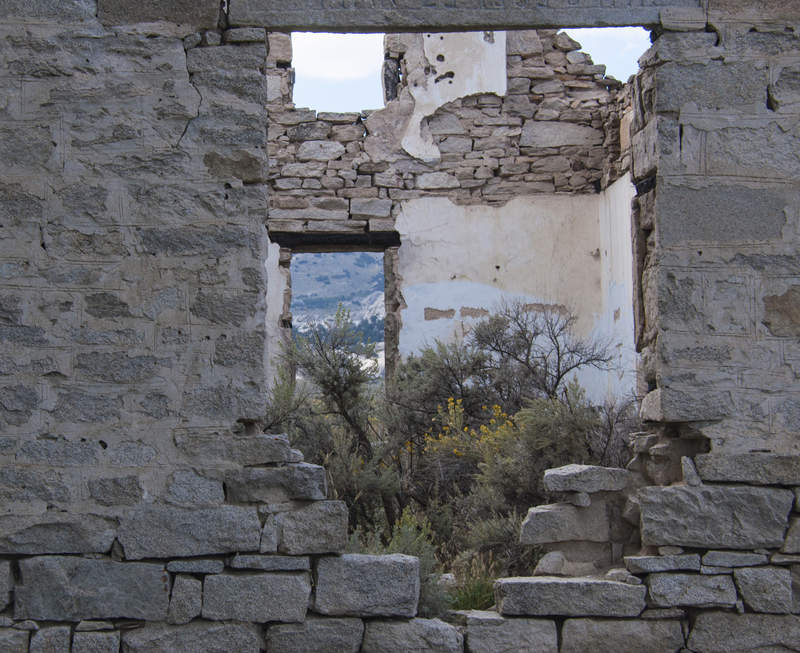 Faced with poorly constructed barracks and sanitation they had to endure temperatures from -21 to 104. However this was a resourceful group who went on to create gardens, publish a newspaper and create musical groups. Minidoka became almost a self sustaining community. 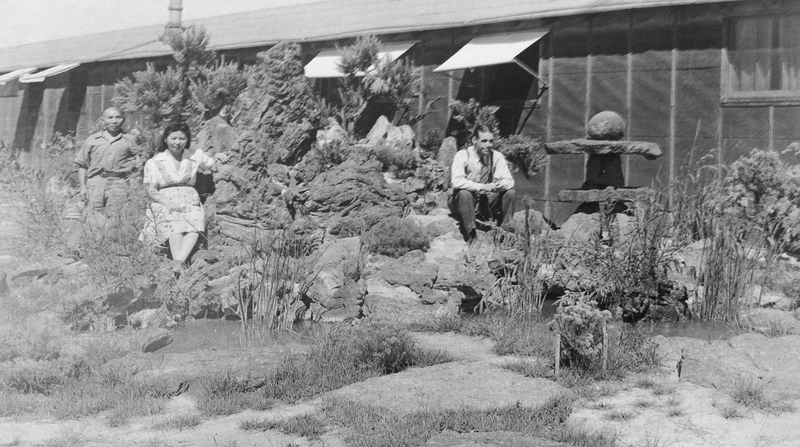 By the time the camp closed in 1945 the residents had cleared and cultivated 950 acres of land. A questionnaire was used to determine loyal internees from dissenters. If they answered No to willingness to serve in the US Armed Forces in combat and to foreswear allegiance to Japan they were shipped to Tule Lake Camp in California. 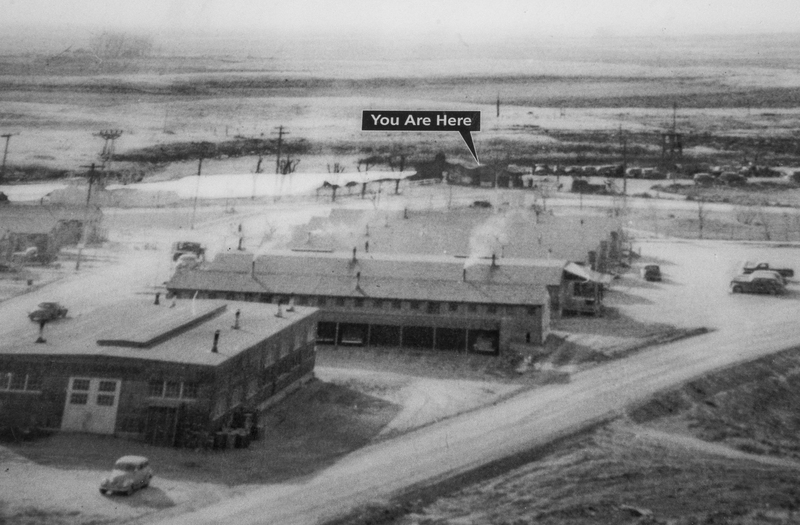 Minidoka became the camp for loyal internees. Minidoka had the largest number of men volunteering for military service. The 442nd combat unit served in France and Italy and had two Medal of Honor recipients. When the camp closed the newly reclaimed land was sold by lottery. 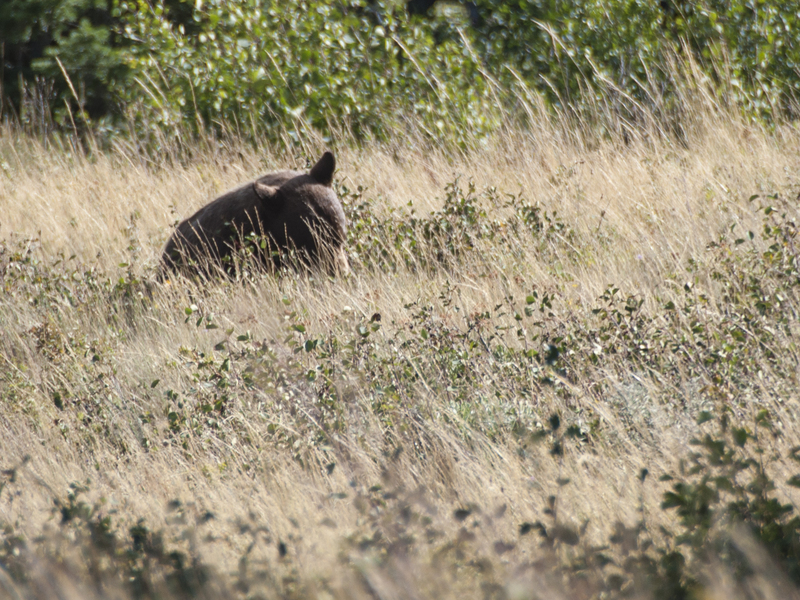 Most of the former camp land remains privately owned today. A few structures from the original camp remain hopefully to keep this from ever happening again. With this we leave Idaho for this trip and head for Utah. There is so much more to see we will definitely be back! 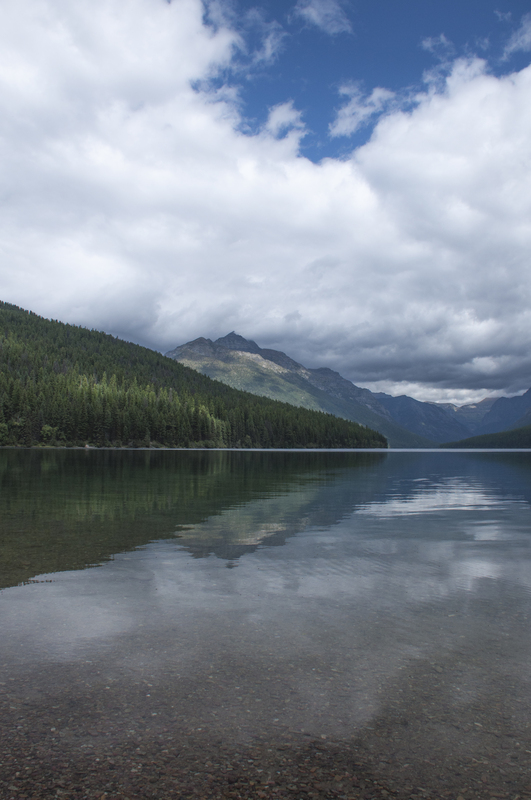 We settled in for a long drive of about six hours from east of Butte, Montana to Big Creek Campground in the Flathead National Forest near the west entrance to Glacier National Park. Montana is a big state and distances on a map can be very deceiving. We chose to stay at the National Forest rather than at a campground in the park as we are on the upper limit for the park campgrounds. After looking at the sites later we were very glad we made that decision. 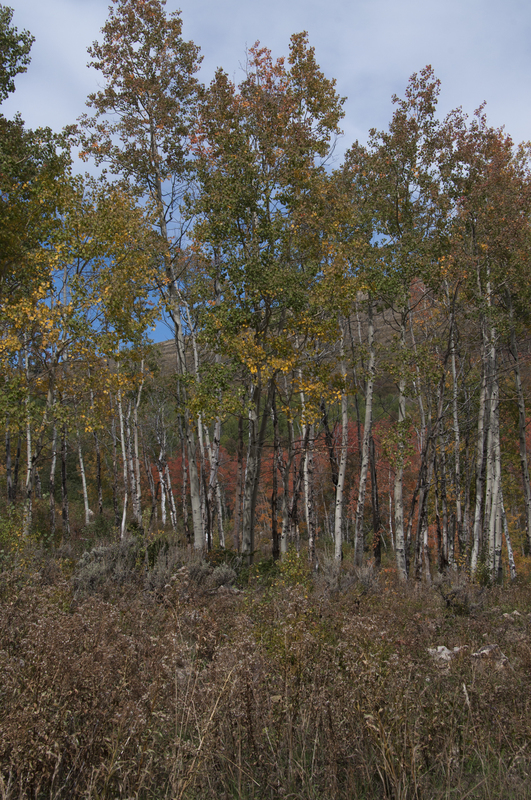 Our site at Big Creek was large, wooded, private and offered lots of free firewood. The only downside was a two mile stretch of very rough road. Later we found another way in that while longer only had a short stretch of rough road. We are still dry camping but came in with a full tank of water. Good thing as the water connection was a long way from the trailer. 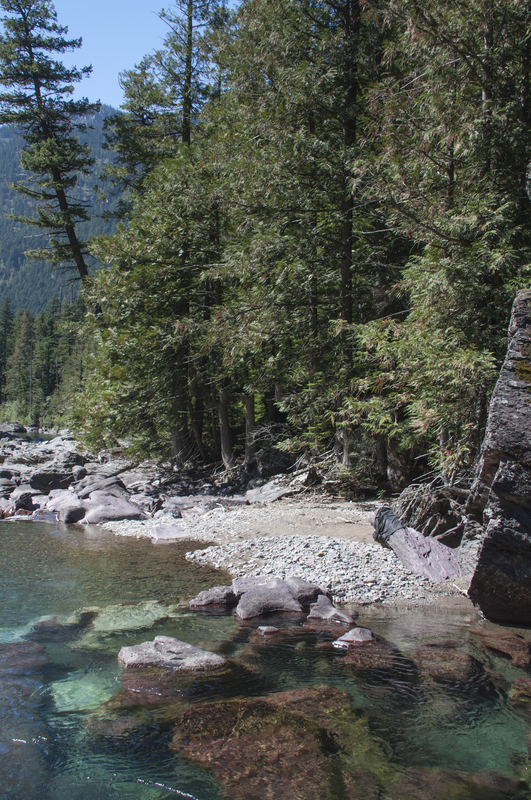 The campground is along Big Creek, a major tributary of the Flathead River. 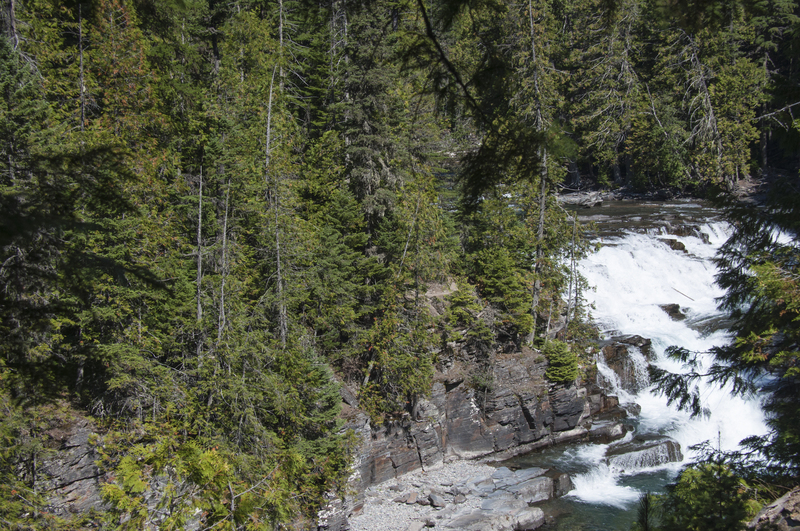 The Flathead is a National Wild and Scenic River. The whole area is a fisherman’s and rafter’s dream. 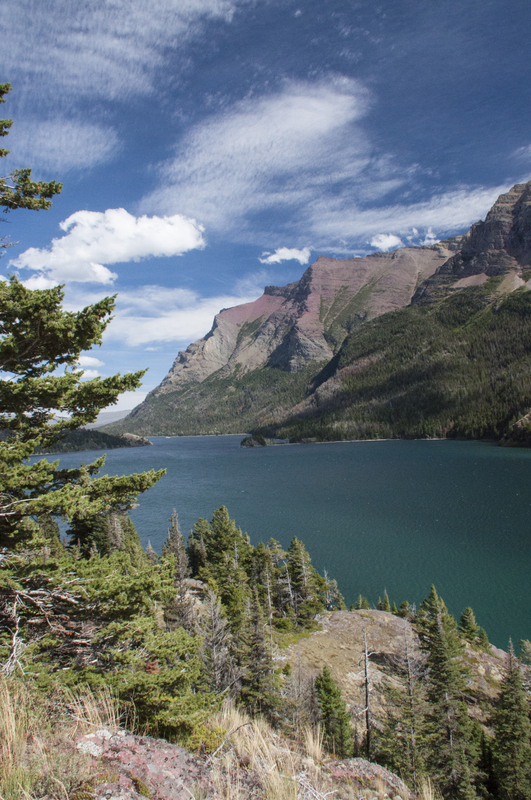 Glacier NP is half of what is called the Glacier-Waterton International Peace Park. This is the only park in the world dedicated to long standing peace between two countries. 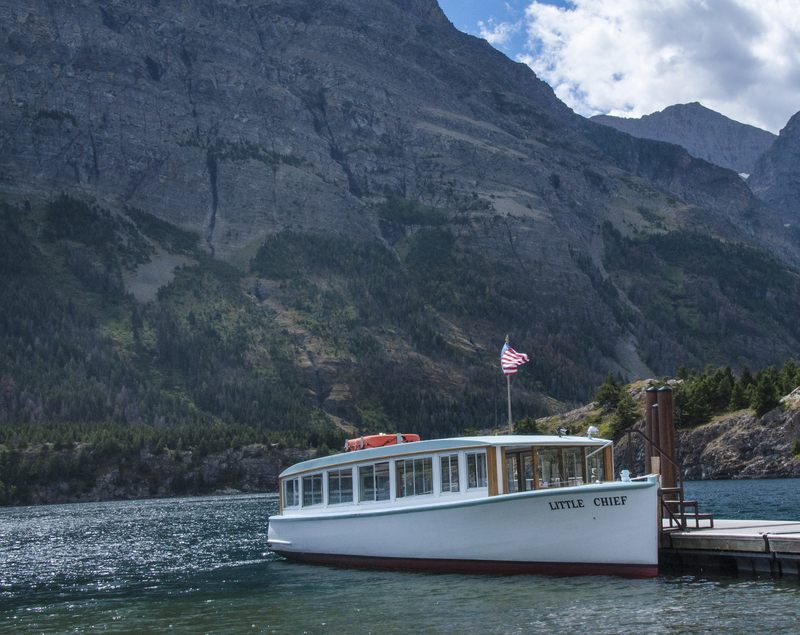 We didn’t get to Waterton this time but “when we come back… Glacier NP has been on my bucket list longer than I care to admit. I wasn’t disappointed. While I haven’t been to Machu Pichu (not yet anyway!) this is what I imagine it will look like. At over a million acres this is a huge park. 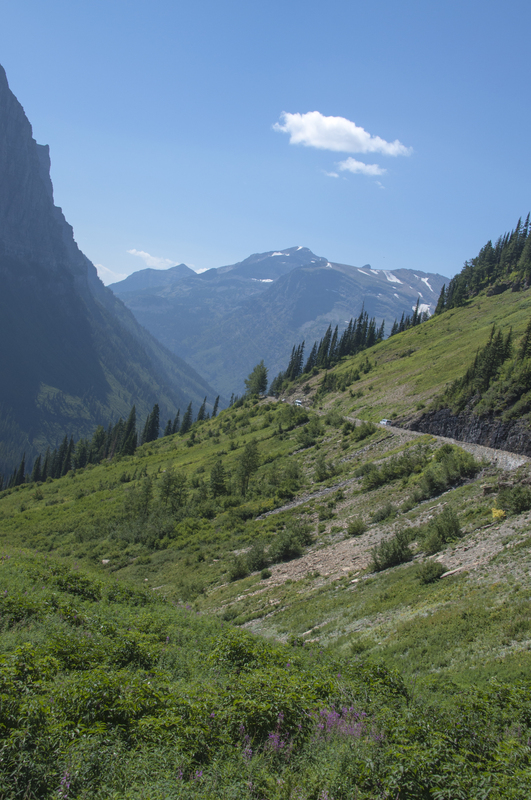 There is only one road running through the park from east to west, The Going-To-The-Sun Road. 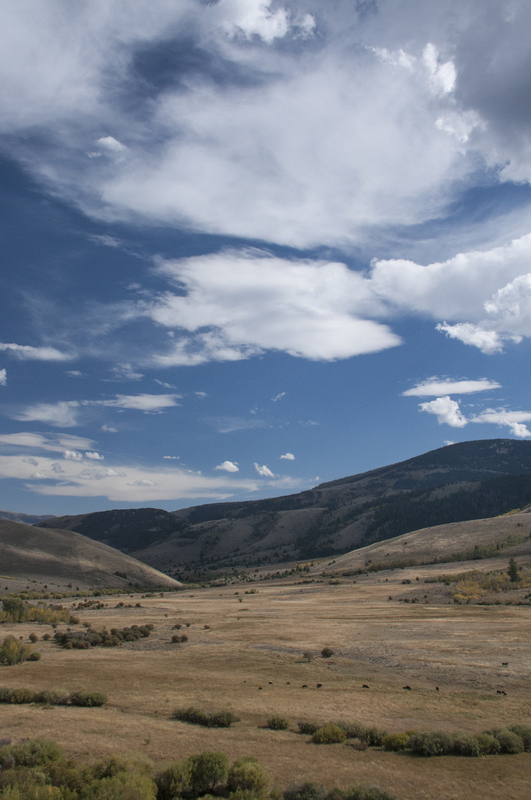 It is 50 miles of the most gorgeous scenery we’ve seen since the Beartooth Highway. Completed in 1932 it is considered an engineering marvel and is a Civil Engineering National Landmark. On average it opens about mid June and is passable until mid or late September. This year it had opened only to be closed again by 2′ of snow, the same snow storm on June 17 that gave us a dusting at Red Rock Lakes NWR. 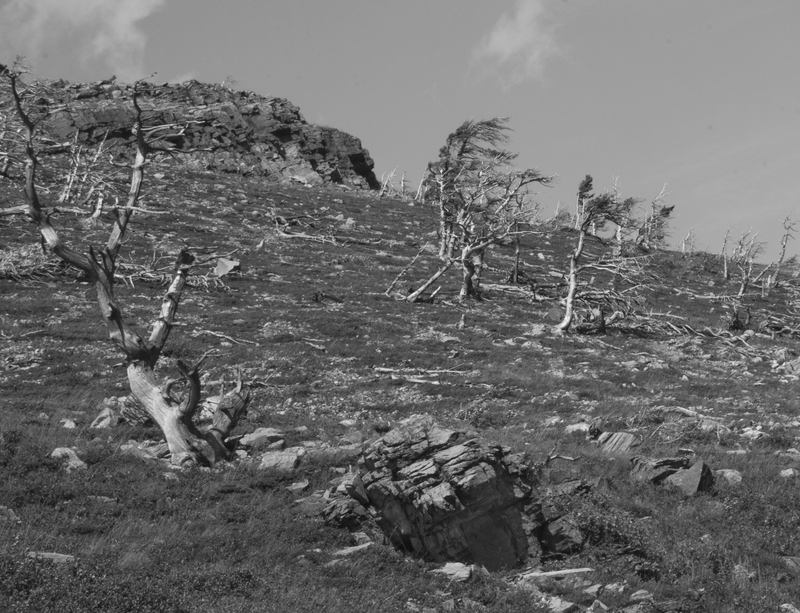 The park averages 25′ of snow a year so plowing the GTTS is difficult and dangerous. Just east of the high point at Logan Pass drifts can be 80′ deep! The drive , if you don’t stop, would take about an hour and a half. So for us, it was an all day trip on day one and about 3 hours on subsequent drives. From an area called The Loop to Rising Sun the road is cut into overhanging rock on one side and a low (18″) guardrail overlooking a steep (1,000-2,000′) valley on the other. I felt so small and insignificant in this vast wilderness. So you tend to crowd the middle line. We didn’t think about pulling in our mirrors and there was no warning sign. On the way back to camp we clipped mirrors with another truck and the driver’s side mirror shattered. From then on we pulled mirrors in! A bit like closing the barn door after the horse is out! Fortunately we were able to get repairs made in Whitefish about 20 miles away. 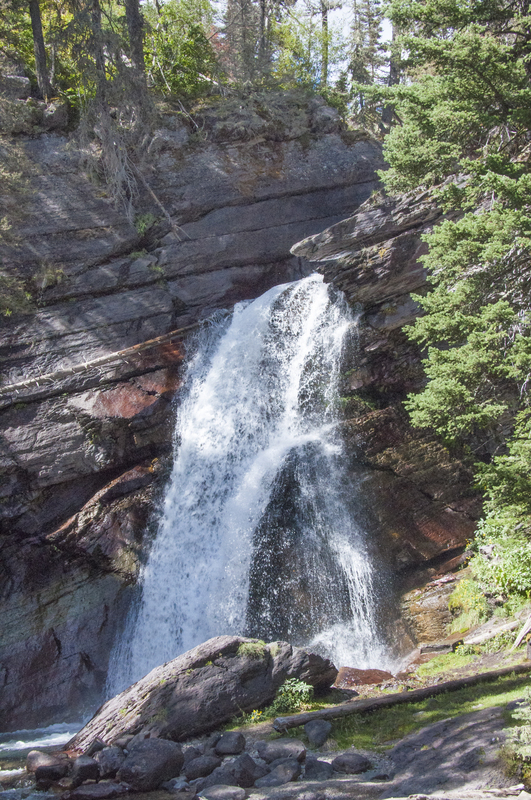 We’d expected gorgeous scenery but we weren’t expecting so many fabulous waterfalls. 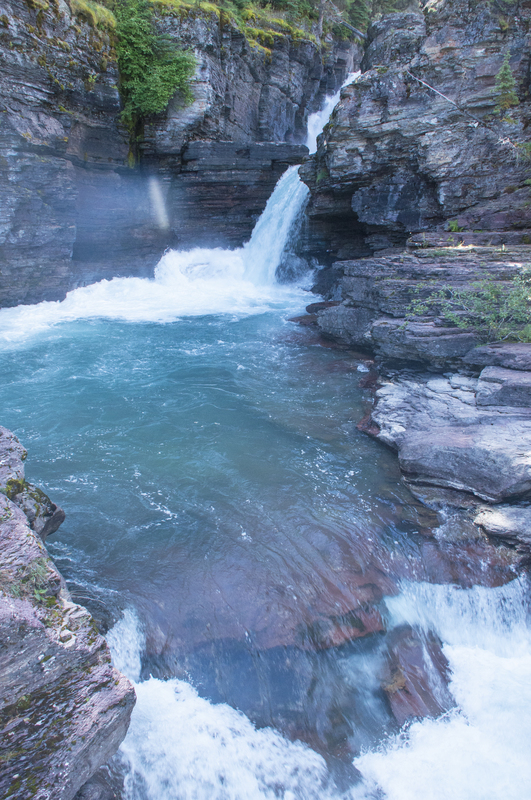 Lunch Creek is a favorite stopping spot both for a hike uphill to the falls and for sitting, wading and picnicking. Day two we had planned to take a boat ride on St. Mary’s Lake to other falls and go on a Ranger led hike. I say planned because after we got there and got unpacked, Steve couldn’t find the car keys. He tore the truck apart. Realizing we were not going to make the trip today, I changed reservations to the next day. He was going crazy and still not finding the keys when I returned. I started looking too. I went through my purse and…you guessed it, there they were. I don’t remember picking them up but obviously I did thinking they were my set. You know your husband loves you if ……. I do love her EVEN when she does things like this! 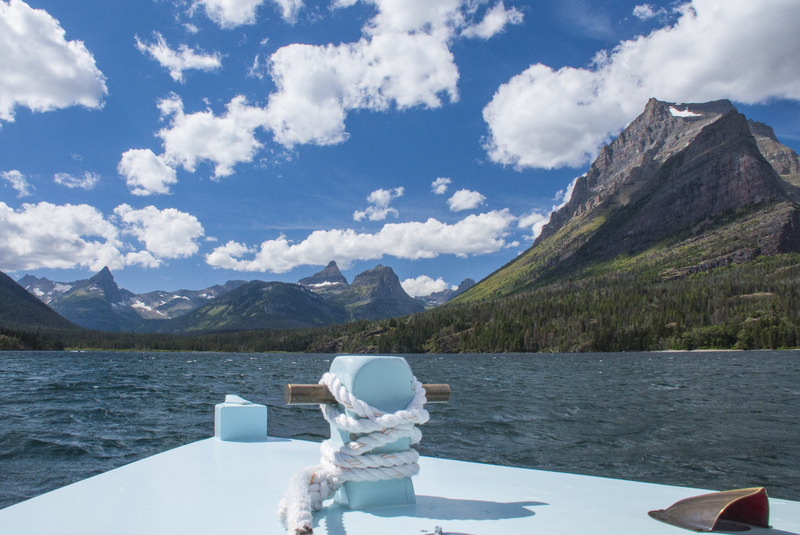 We made the drive back to St. Mary’s Lake on Friday and took the 2pm boat trip. 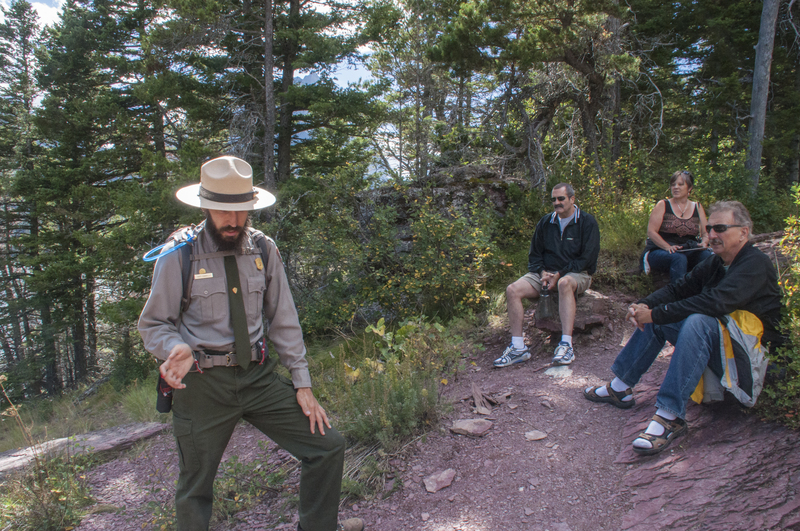 A ranger was on board and explained a lot of park history. We especially liked learning about the early period when the railroad had built an exclusive resort on the lake. 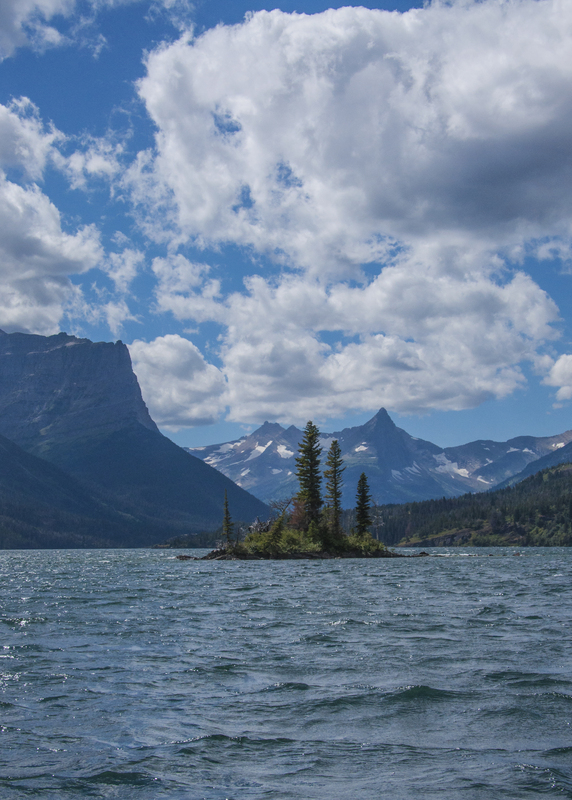 We cruised by Little Goose Island. 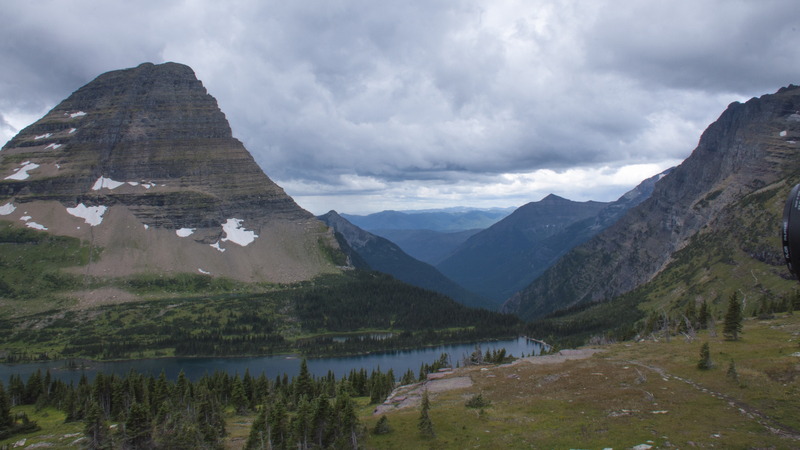 There is an overlook for the island on the GTTS that is the most photographed place in Glacier NP. We tried to get sunset pictures after the cruise but Mother Nature only gave us thick clouds and no sun. After docking we took a 3 mile hike to two waterfalls; Barring Falls and St. Mary’s Falls. The scenery from the trail was spectacular! On the ride back we saw Triple Divide Peak. 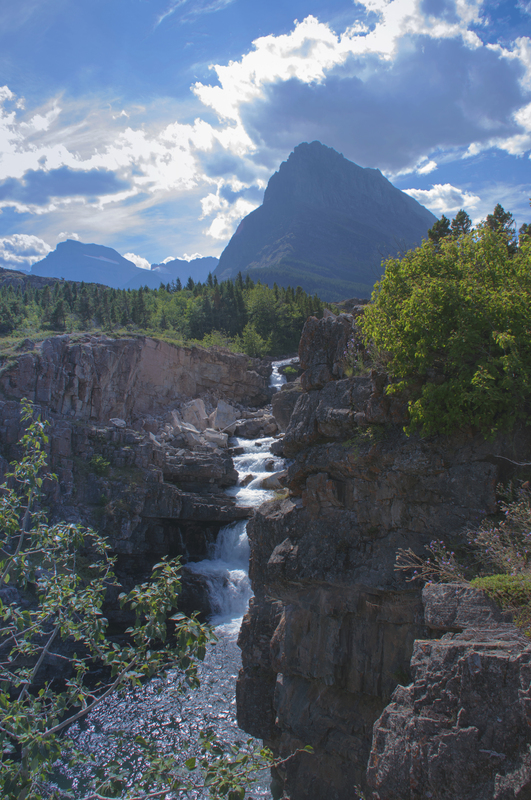 This is only one of two places in North America where water flows in three directions: to the Mississippi on the east, to the Pacific via the Columbia River on the west and to Hudson’s Bay to the north. 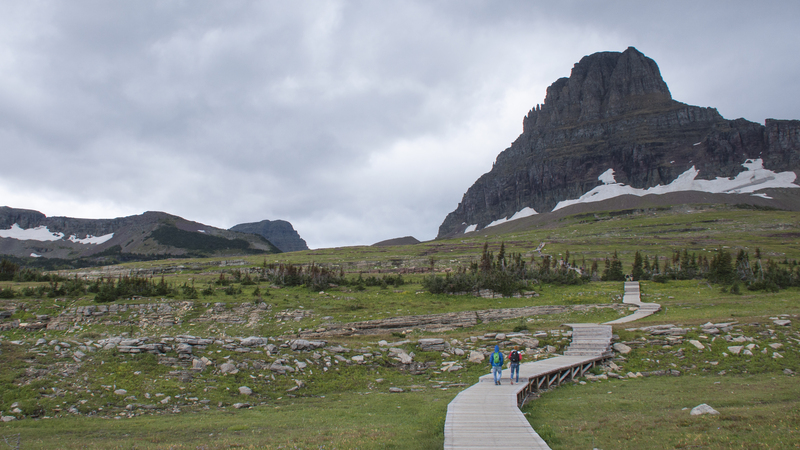 We finally got to Logan Pass for the much heralded hike to Hidden Lake. Believe them when they say that the parking lot fills early. When we arrived at 9:45 we got one of the last parking spots. After that, getting a spot is like going to the mall the week before Christmas. 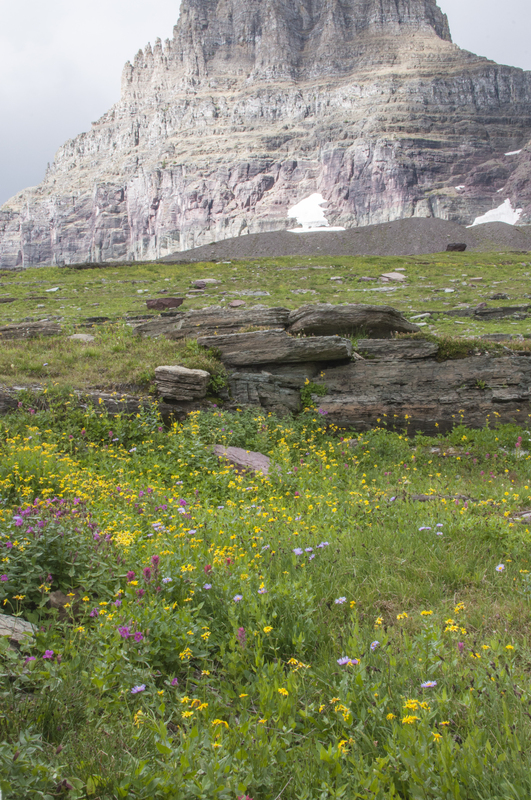 Logan Pass is the highest point on the GTTs road. If you do no other hike, plan on this one. 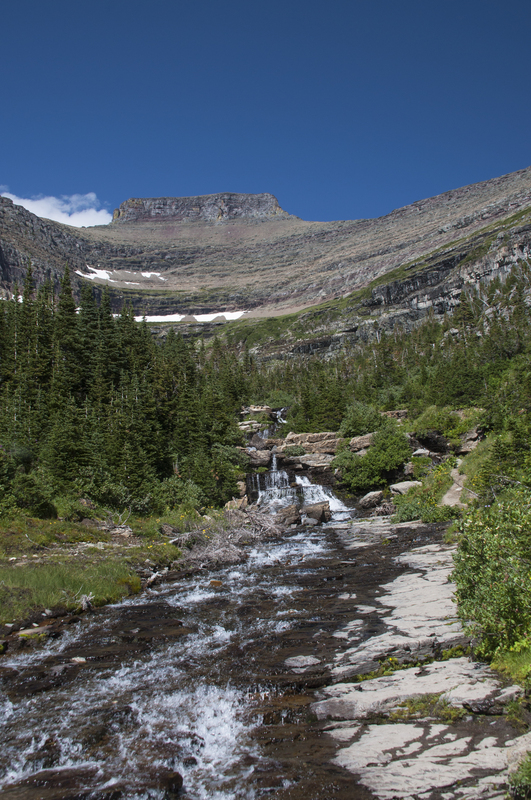 It’s about 3 miles to the Hidden Lake Overlook and 7 to the lake roundtrip. 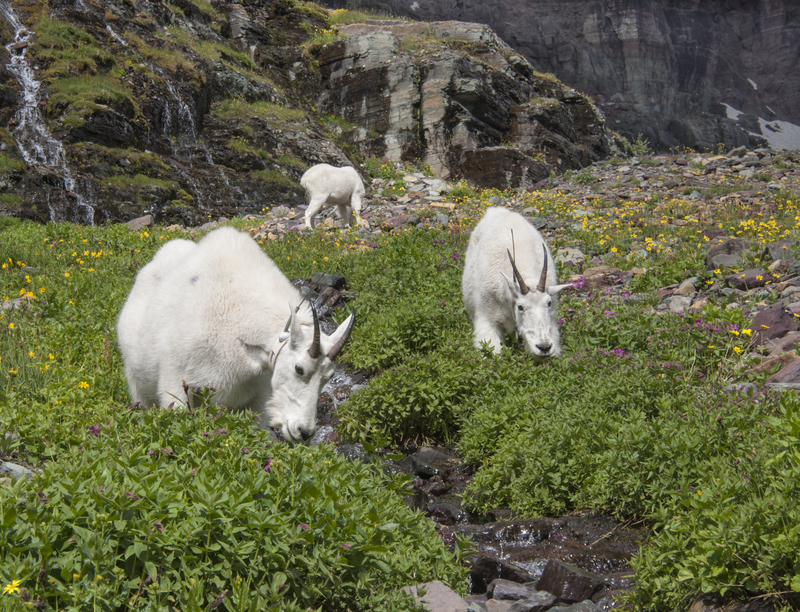 The scenery, the wildflowers and most of all the symbol of Glacier itself, the mountain goats make it very special. I only wish the guy that made the boardwalk had thought about people with short legs when he built the steps! At about 8,000 feet it was much colder. I was glad I had a pair of fingerless mittens in my camera bag. Just when we reached Hidden Lake a few raindrops fell. We didn’t stay long as we could see the storm coming. About halfway down it really began raining and sleeting. Sleet doesn’t feel good on a bald head! Steve cut a black plastic trash bag and slid it over himself and his camera. Fine except that it was so tight he couldn’t move his arms. If he’d fallen he’d probably kept bouncing all the way to the bottom! My jacket was water resistant but by the time I got to the Visitor Center I was soaked through to the skin and very, very cold. I made a quick stop at the bathroom and when I came out the sun was shinning. People just arriving looked at me like I’d just gone overboard and been rescued. It was a long, cold ride back to the trailer. We’d hoped to do some kayaking but by the time we finished sightseeing and hiking the weather had become overcast and rainy with a “winter comes early” feel to the air. Guess we will just have to come back! We did drive up to one of the smaller lakes on the west side called Bowman Lake. The access is good until you start up toward the campground. This is suitable only for tents and truck campers. A rough, narrow dirt road but worth the effort as the lake is gorgeous. 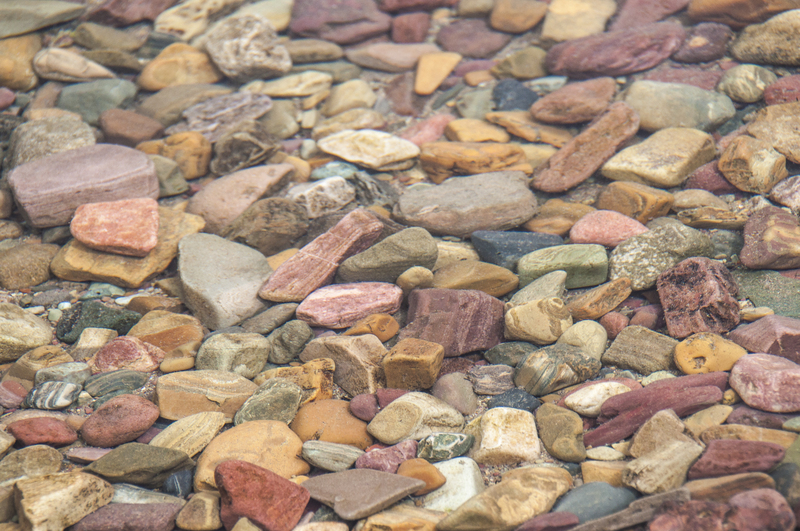 The rocks just below the water at the lake’s edge have so many colors. 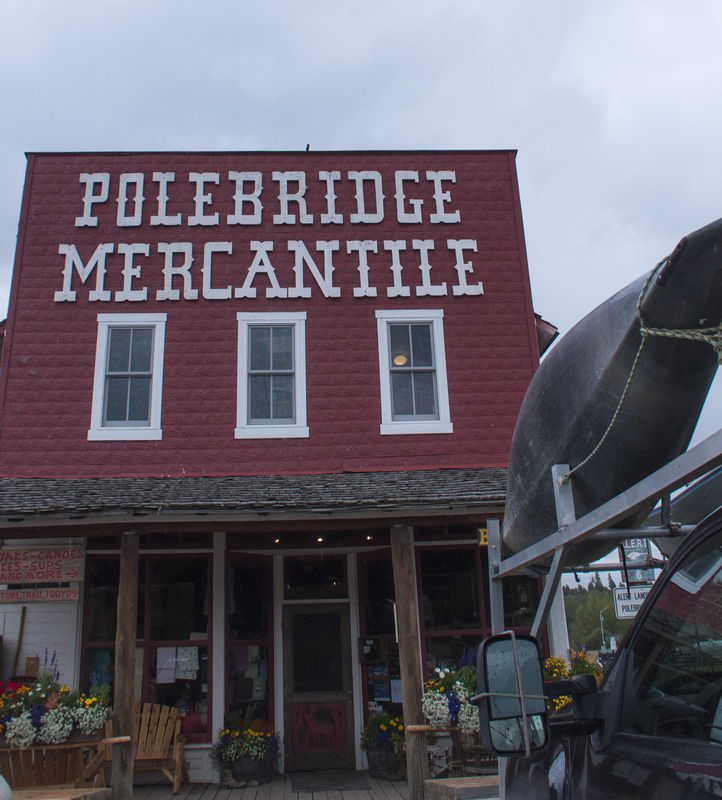 On the way back we stopped at the Polebridge Mercantile, a general store/bakery. We loaded up with cinnamon huckleberry bread (made great french toast), huckleberry bear claws and eclairs. 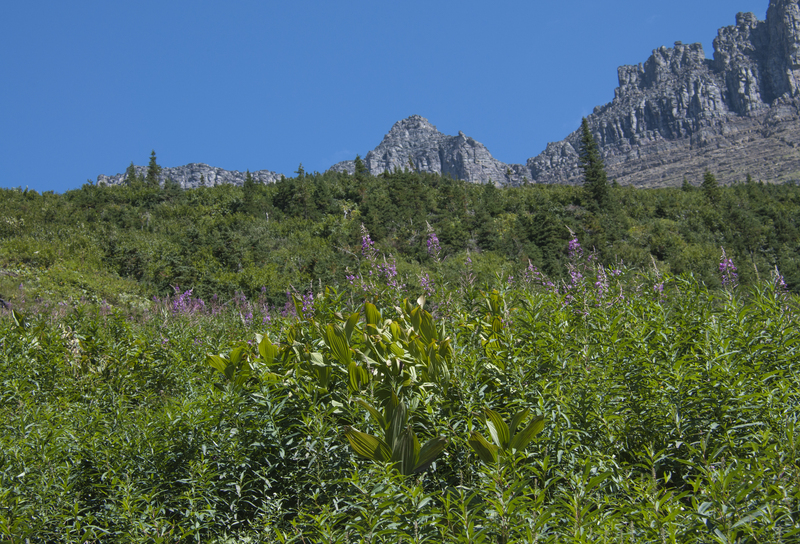 Polebridge was one of the first commercial enterprises near Glacier NP. It still has cabins and a bar/restaurant with local musicians. A few buildings are from the original homestead. These pictures barely do this park justice. You really need to come see for yourself. 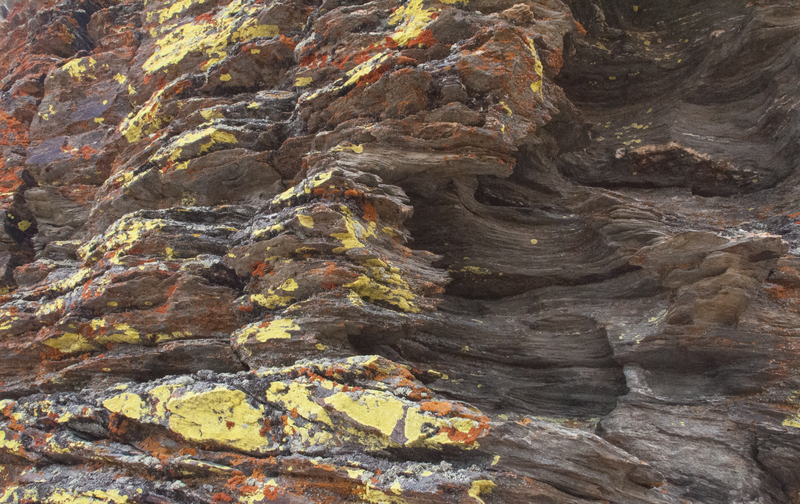 Have we just found a new favorite national park?